There are two types of models in Spice, the ‘intrinsic’ model and ‘.subckt’ models. 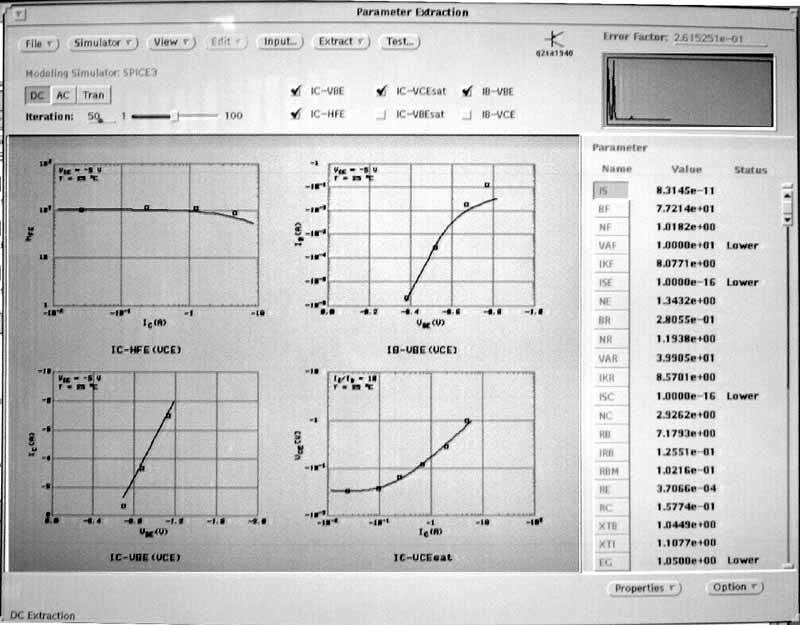 The graphs on the datasheet are scanned, and device performance values are digitized from the scanned datasheets. MODPEX extracts the model parameters through the use of an optimizer engine, which varies the model parameters to minimize the error of the model performance to the digitized data sheet performance values. When the parameters are fully extracted, MODPEX tests the device and generates a datasheet of the model performance vs. the original datasheet values. Standard turn-around time for a device model generated with MODPEX is 2-4 days from the receipt of the device datasheet and purchase order/credit card info/wire transfer. Interface Technologies also generates custom subcircuit models such as OpAmps and Switchmode controllers, Optocouplers, etc. These devices are more involved from an engineering perspective, and quoted by device. Please contact us with your requirements. Pricing varies slightly depending on the type of model required. for an exact quotation. We’ll generally need a datasheet for the device that you need quoted. If you have one and send it with the request, that is very useful.